A Night in a Mountain Shelter - Your Questions Answered! First, let’s be totally honest: the “Night in a Mountain Shelter” activity started out last year as a plan B. As everywhere else in Europe, the early winter had been terrible, and we were unable to run the igloo expedition that our clients had chosen to do weeks or months in advance when they had booked their winter holiday. No snow. Bare mountains! As you know, we hate to let our clients down so we talked to some of our local guides – these guys are always scarily resourceful! Out of our conversation came the idea of taking our groups to a remote cabin up in the mountains, right into the wild, instead. Our main objective, of course, was to keep the spirit of the igloo expedition as alive as possible. In other words, the experience ought to be as memorable as genuine, the walk up in the afternoon and the walk out the next morning ought to be done amidst awe inspiring alpine landscapes, and the atmosphere in the evening ought to be as special as what you see in the movies (i.e. you, a shelter, the wilderness around, and nothing else – thank God, we have no bears in our region). We ticked all boxes. The first groups we took to the cabin were very diverse: they were made up of Brazilians, Ukrainians, Brits, Indians and Kuwaitis. You can’t get much more globalised than this! We equipped each of our participants with a (light) rucksack, a sleeping bag and a mat. We told them to wear good hiking shoes, a warm hat, a few layers and a pair of gloves. We recommended they take a fully charged smartphone (not that you can use it up there, as Wi-Fi is definitely not part of the features in this remote place, but those phones make great flashlights too! ), and off they went (or, more precisely, up they went). 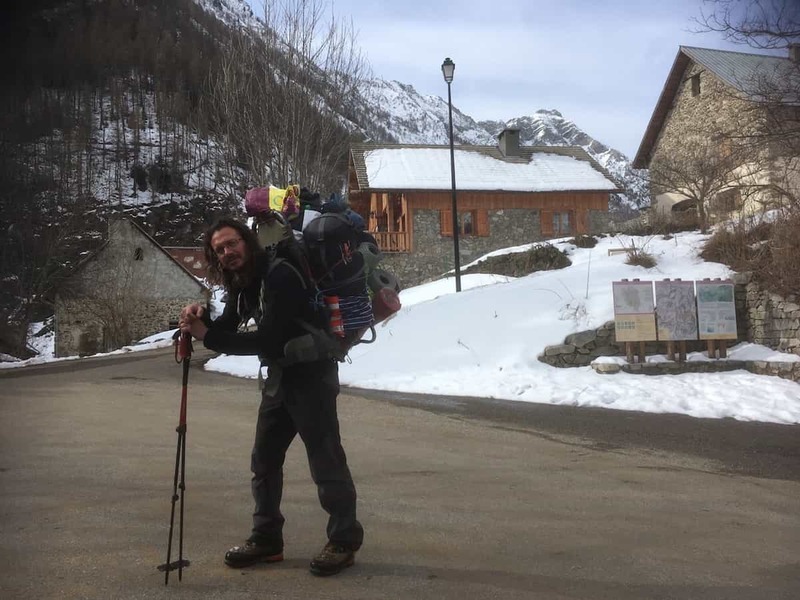 As for our guide Olivier, he had purchased enough food and drinks for everyone – he had a much bigger rucksack on – as well as the necessary equipment to entertain everyone (board games, cards, a small bottle of local liquor), and led the way to the cabin. The walk takes about 45 minutes. It is steep, but oh is it worth the effort. Once you’ve reached that old wood and stone barn-looking building located in the middle of nowhere and caught your breath, just looking down at the Champoléon Valley that lays before your feet is the best of all rewards. Champoléon is one of the most spectacular area in the "Hautes-Alpes"... you can hear threshing water of the river, see dramatic summits right in front of you, smell the fresh, pure air – it is, truly, a blessing for all your senses! But there’s more to come before you settle down comfortably for the night: our guide takes you for a nature walk around the cabin. Depending on the season, you will see furry marmots running in the grass (not in winter), peaceful ibex grazing in the sun, agile chamois jumping from rock to rock, royal eagles flying around in silence looking for their next pray (no worries, humans are not on their bucket list), and many other beautiful animals that populate the area. Don’t forget that at this point, you’ve entered the Écrins National Park, one of the oldest parks in France and an untouched area larger than Singapore! At this point, if you think that the trip has already been quite a unique experience, get ready for more fun: the evening in the cabin! You will prepare dinner with the other participants (our guides usually provide great local vegetables to make a good hot soup, local ham, local cheese, local fruit – this may as well be a gastronomic adventure, right? ), eat it while telling the others about you and listening to the stories and anecdotes of our guides – these guys are scarily knowledgeable – and spend a great moment of conviviality while enjoying the heat of the old wood stove crackling in the corner of the room. Far away from any sign of civilisation – but isn’t it the whole point of such an expedition? The next morning, after a relaxing night (no complaints from anybody about noisy neighbours or police sirens so far…) enjoying a hot tea or coffee and munching a “tartine beurrée” with the stunning views just for yourself is – probably – one of the best ways to get up and start a new day. A new day of adventures in the undiscovered Southern French Alps! The icing on the cake? You will end this beautiful adventure with an easy, effortless way down, back to the bottom of the valley, back to civilisation. With a head full of lasting memories of that remote mountain shelter and everything you experienced in and around it - and, who knows, maybe even with a few words of French, Portuguese or Ukrainian! All our customers’ feedback has been so laudatory so far – no matter where they were coming from, they all loved it – that we’ve decided to turn our “Plan B for snowless winters” into an all year long activity. Such is the history of our now famous “Night in a Mountain Shelter”. 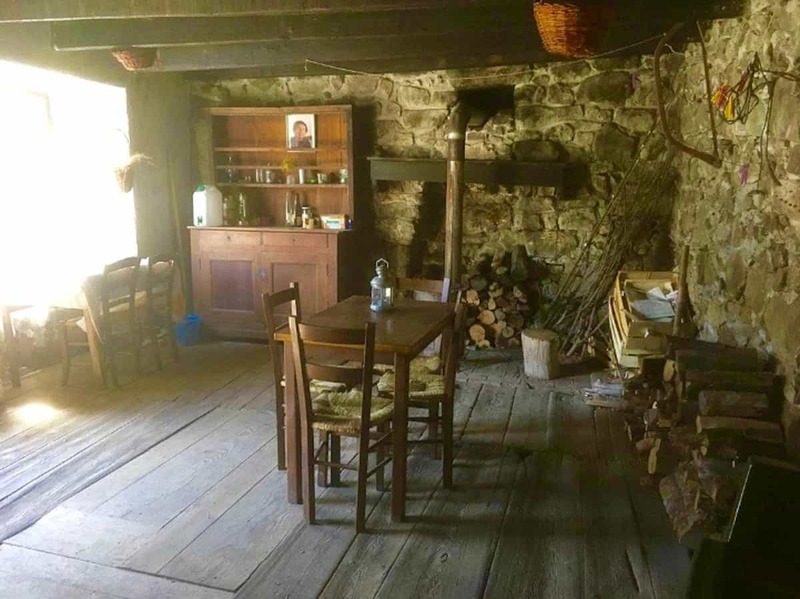 Quite a promotion for that little cabin, its little wood stove and its thick stone walls!